Debra Lynn Cole Johnson, age 63 of Laurinburg passed away Tuesday, January 29, 2019. She was a daughter of Katie Hill Cole and the late Alvin Dewey Cole born December 17, 1955 in Scotland County. She was the loving wife of the late James Ervin Johnson who preceded her in death in 2008. For 44 years, Debra dedicated her life to loving and caring for others as a Registered Nurse. During her career, she served at Scotland Memorial Hospital, FirstHealth Richmond Memorial Hospital, Marlboro Park Hospital and was currently with McLeod Dillon Hospital where her experience and care will truly be missed. In her quiet time, she loved to read and cuddle with her kitties, Mookie and Mimi. She also enjoyed playing I Pad games especially, Happy Color. Debra’s greatest joy was sharing time with her family. In addition to her father and husband, she is preceded in death by an infant son, Jason Daniel Johnson; her sister, Jenny Cole Breeden; niece, Kaitlyn Breeden and mother-in-law, Juanita Johnson. 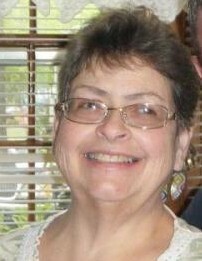 Debra leaves behind her children, Matthew “Justin” Johnson and Tiffany “Jordan” Johnson both of the home; mother, Katie Hill Cole of Laurinburg; father-in-law, Wallace Johnson, Sr., of Laurinburg; nephew, Woodrow “Woody” Breeden IV (Mariah) of Florence, SC, a special cousin, Ken Gibson along with a host of extended family and friends. Funeral services will be conducted at 5:00 p.m. Monday, February 4, 2019 at the Richard Boles Funeral Service Chapel, officiated by Rev. J.B. Loving. A time of visitation will follow the service at the funeral home. A private interment will be at a later date.